We offer top quality lubricants, every time, all the time. 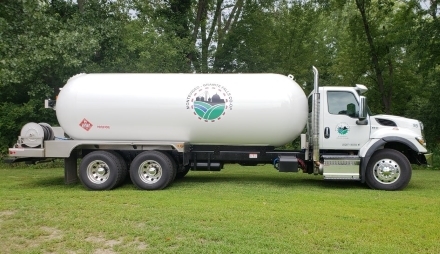 Quality Ruby Fieldmaster is the best grade of diesel fuel you can buy. We also offer a blend of Soy Gold to fit your needs. 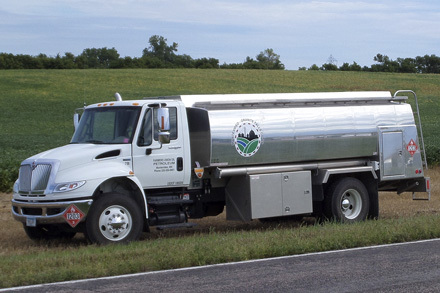 Using soy diesel—or as some folks refer to it, bio-diesel—helps support the crop you grow as well as supporting your community. For information on soy diesel, give Mike Mace at the downtown office a call at (320) 269-8861. We also offer a Total Protection Plan Warranty for your new or used equipment when you use Cenex quality lubricants and/or Ruby Fieldmaster diesel. For emergency delivery or furnace servicing call (320) 269-8861. Our voice messaging center will direct you to the on-call service man. NOTE: During spring planting and fall harvest, Cenex is always available to serve your needs during the long hours. We do not charge an after hours call to our farmers. Your coop also offers highly trained repair and installation for most all makes and models of furnaces as well as air conditioners. Have your furnace serviced by our trained professionals. Call today for an appointment. When it’s time to replace your furnace or air conditioner, keep Cenex in mind. Our LP Supervisor, Mike Mace, will be happy to visit with you on which model will best suit your needs. We have furnaces available for LP gas, natural gas, as well as fuel oil. Give Mike a call today for your bid at (320) 269-8861. Call both your propane supplier and the fire department for help from a telephone away from the home and nearby area. Visit Use Propane for more safety information.